FireAngel ST-622 10 Year Thermoptek Smoke Alarm smoke alarm review - Which? 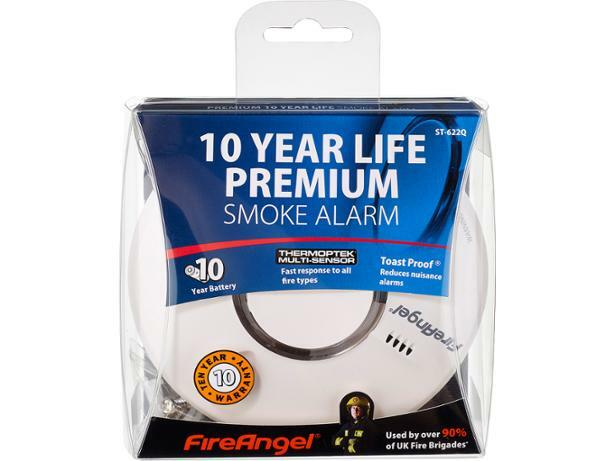 The FireAngel ST-622 10 Year Thermoptek Smoke Alarm comes with a 10-year lifespan – the battery is sealed inside the alarm, so you’ll never have to replace the batteries. It’s certainly affordable. but how good a job does it do at detecting smoke? Read on for our test results and our full review of this FireAngel smoke alarm.